Gombak, 16th February 2008: He & Himself. 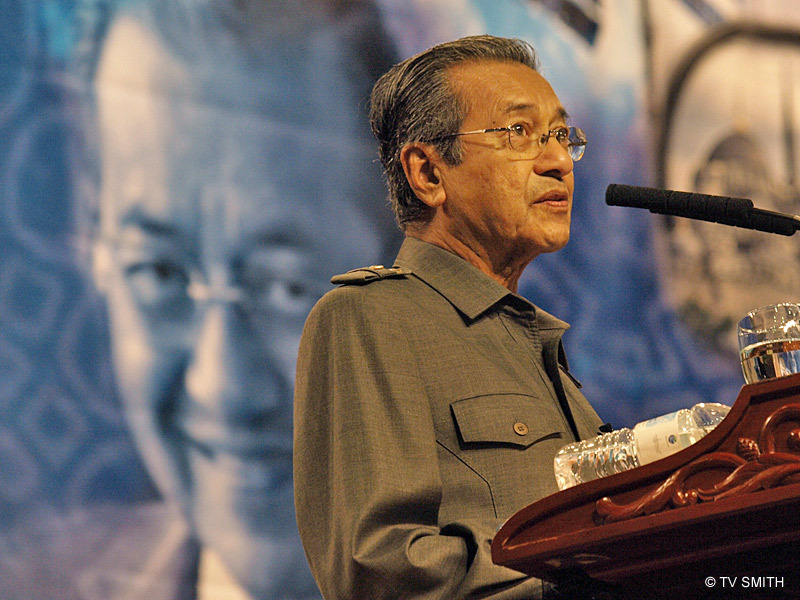 Tun Dr Mahathir delivered a keynote address at the International Islamic University, earlier today. It was awesome seeing the former PM getting mobbed like a teenage pop idol. As the elder statesman made his exit, hundreds of students surged towards him. They made a crushing, frenzied attempt to shake his hand and to get his autograph. Continue Here.